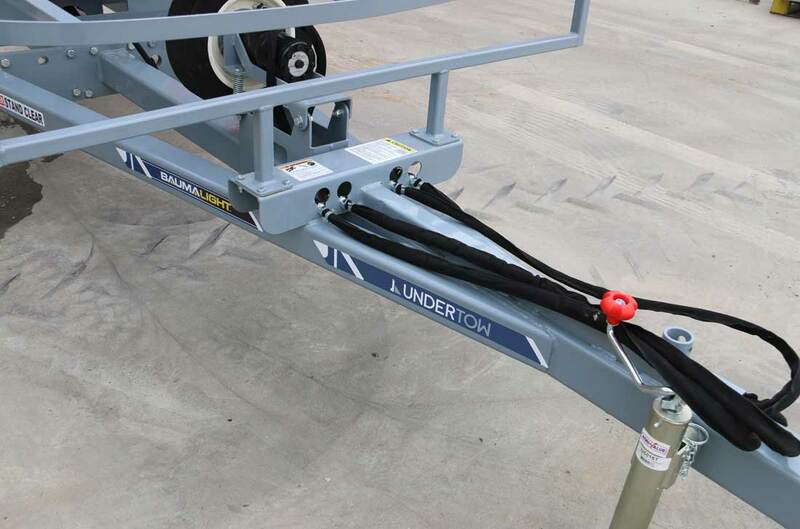 The Undertow's heavy duty Tile Cart features a hydraulic hoist and wings that fold in during loading. With the capacity to hold the large standard tile role size as well as smaller ones, you'll be able to cover almost any application. To keep the tile from needless unwinding the braking system is activated when lowered. The Baumalight UST510 Tile Stringer makes light work of all your tile stringing needs. Pair it with an Undertow Tile Drainage Plow for a well paired team! Effortlessly pick up tile up to 4000' feet over and over. The edge of Stinger's base conveniently folds in seconds to bring the spear to a full 90 degree angle for quick tile pick ups. 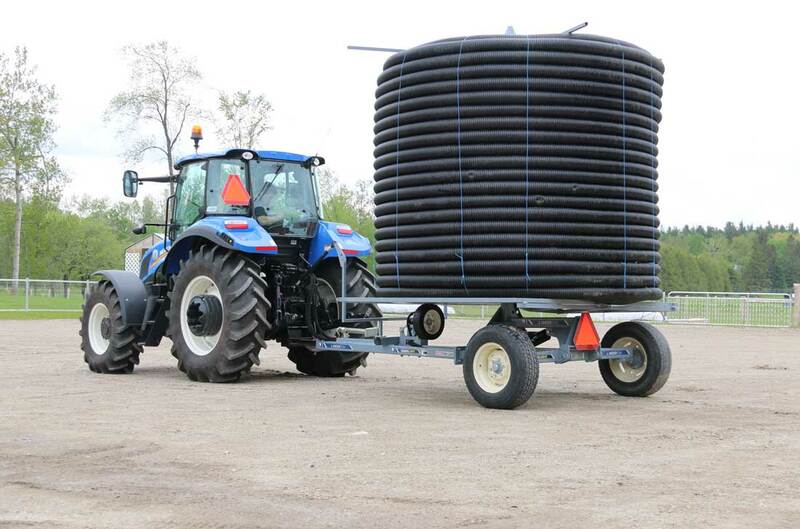 Maximum tile size is 4000' feet which will keep you rolling all day long. Spring bushings made from high grade steel on all main pivot points. Once the roll of tile is loaded the braking system can either lock the reel from spinning needlessly or assist in rotation. When it comes to the future of your fields, now is the time to plow ahead. 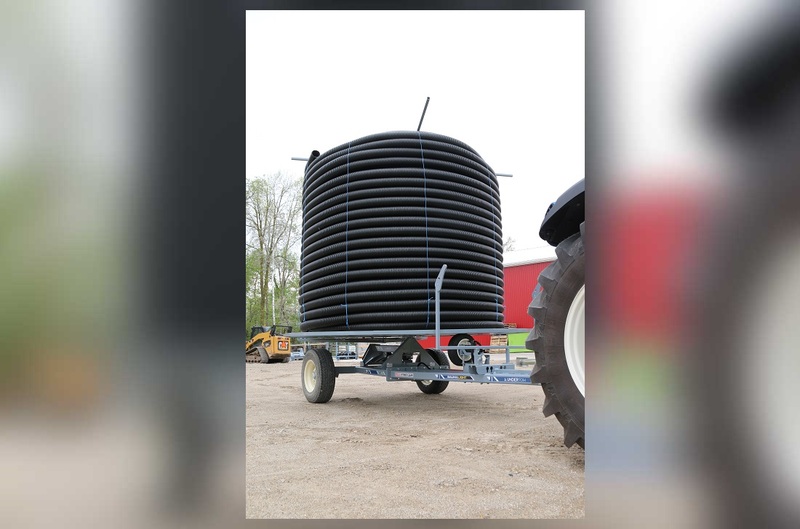 Set up your fields for success – increase crop yields, minimize risk, and improve the overall health of your soil – by installing a water management system for your field. 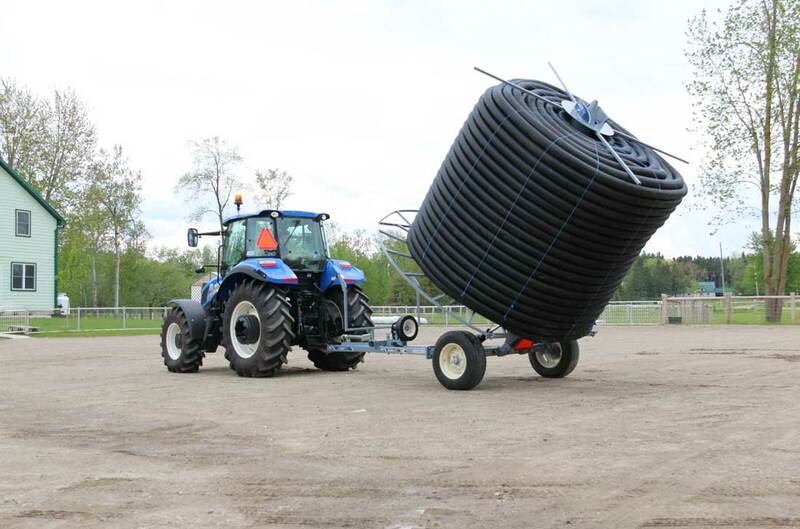 Because excessive water on your fields can lead to stunted roots and plant growth, a decrease in the quality of soil, and difficulty operating equipment in muddy, wet conditions, installing tiles beneath the soil's surface for water to drain into a stream or outlet is the ideal solution. With your tractor, you can tile when you want. 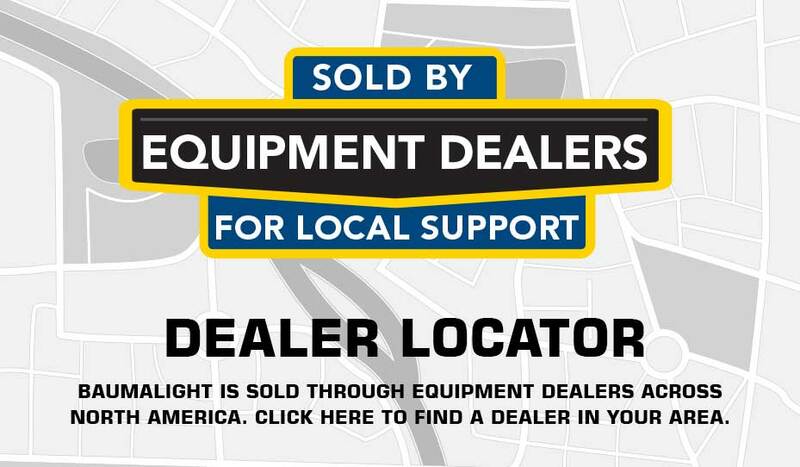 And where you want. 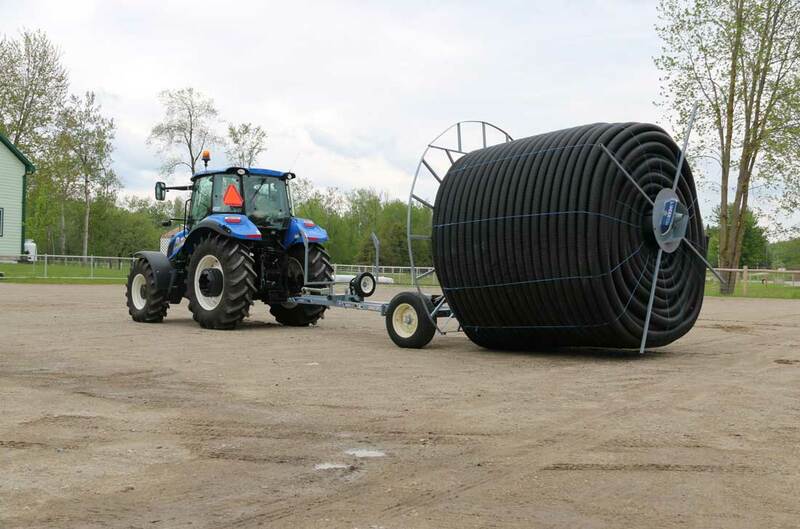 Pulling the Undertow with your tractor is easy, allowing you to manage your fields’ tile installation process without the expense of hiring a contractor. 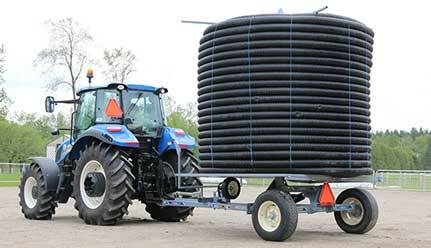 With the Undertow attached to your tractor, tile drainage becomes an affordable investment. By following some simple guidelines for set-up, you are in control and can take advantage of the short window of time when soil conditions are optimal for installing the tiles. It pays to plan for the long run. For exceptional tile draining results, undertaking preliminary research and planning is not only highly recommended but also extremely beneficial in the long run. 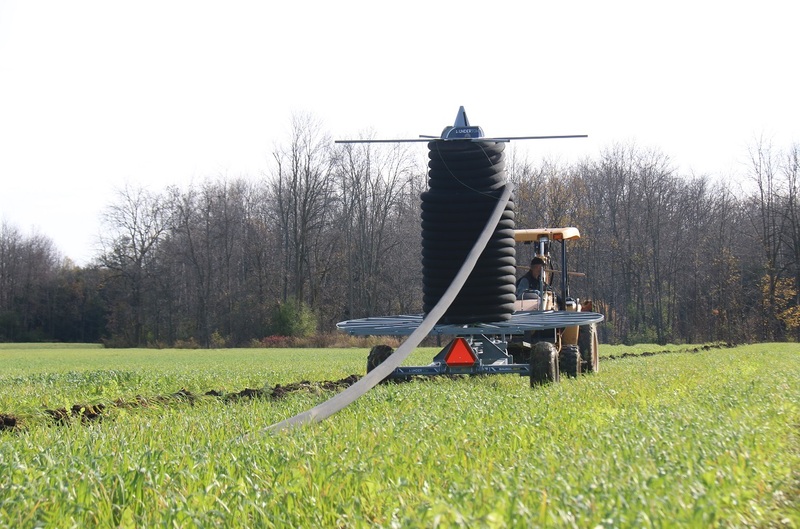 Taking into consideration factors such as topography, elevation, soil type and variety of crops will help determine proper tile depth and spacing, as well as protect the longevity of your tile drainage system. 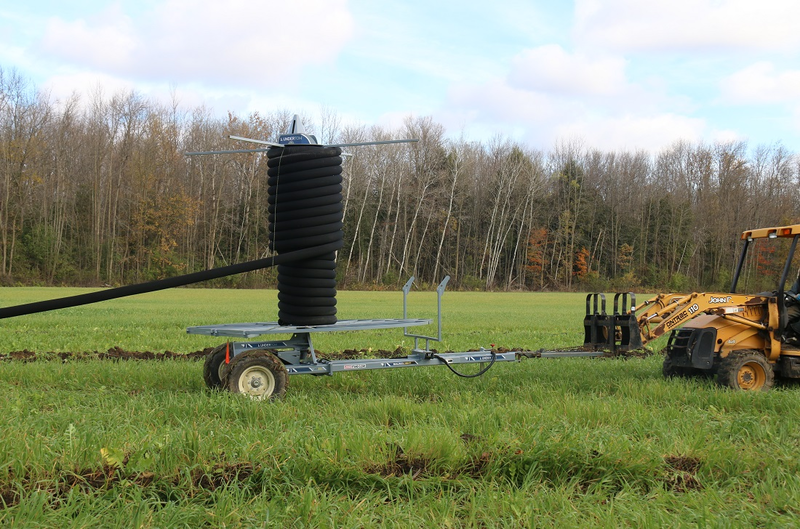 With two options available for plowing – 3-Point Hitch and Draw Bar Plow – setting up the Undertow for tile installation is easy and fast. Plow back your fields. 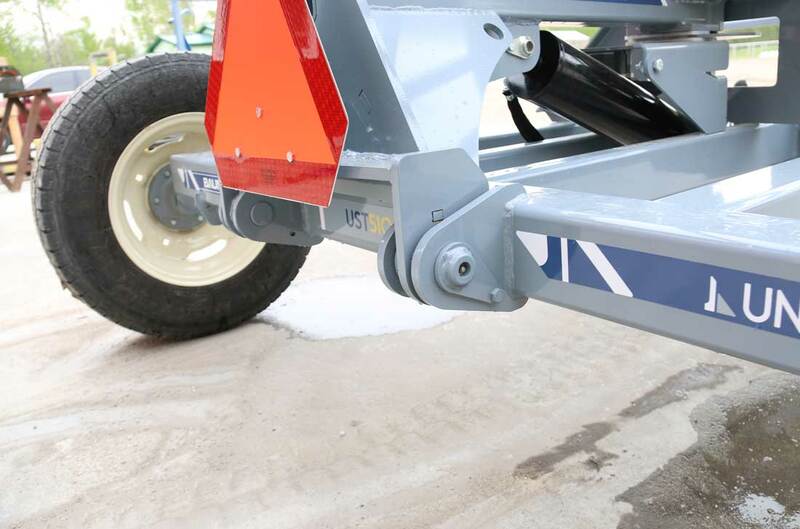 During the tile installation process, the leading-edge design of the Undertow ensures dependable grade control even while plowing to a depth of five feet. 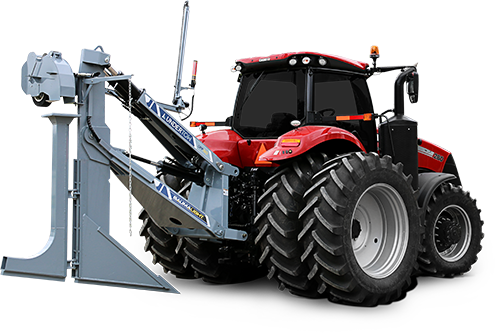 Featuring excellent visibility and versatile maneuvering, the Undertow plow can handle a variety of soil conditions and pull consistently hard through the ground. As a tool that a farmer or landowner can operate without needing a contractor, the Undertow requires only minimal preparation and set up. The first step in a successful drainage plan for your fields begins with a land survey, taking into account your fields' topography, elevation and existing tiles. When you are ready to begin tiling, ensure you have assembled the required materials. During the tiling process, mark the location of all tile outlets so they are easy to locate in the future. 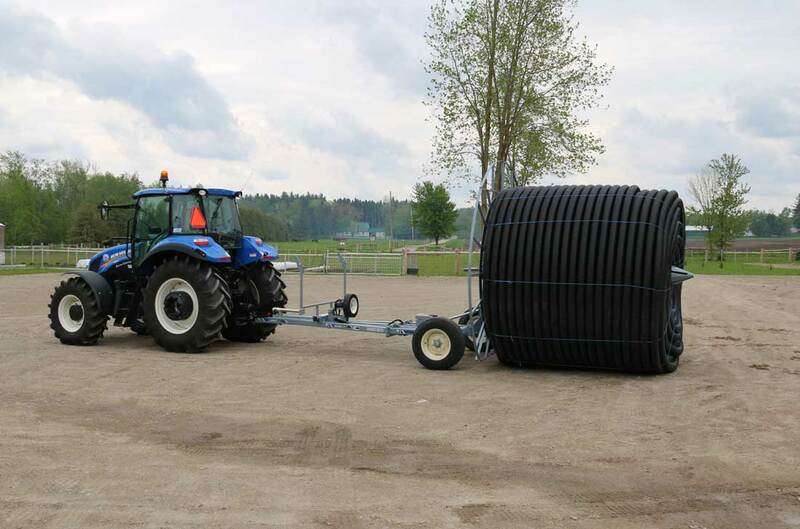 Following your tractor's operator's manual, attach your tractor the Undertow and connect your hydraulic hoses and laser level. Refer to your Undertow Operator's Manual. When the plow is in the ground, the lift cylinder is in float and the tilt cylinders are in continuous flow. The laser receiver receives the beam from the transmitter and sends the signal to the console in your tractor’s cab. The console then runs the electric over the hydraulic valve on the plow to tilt the boot up or down. 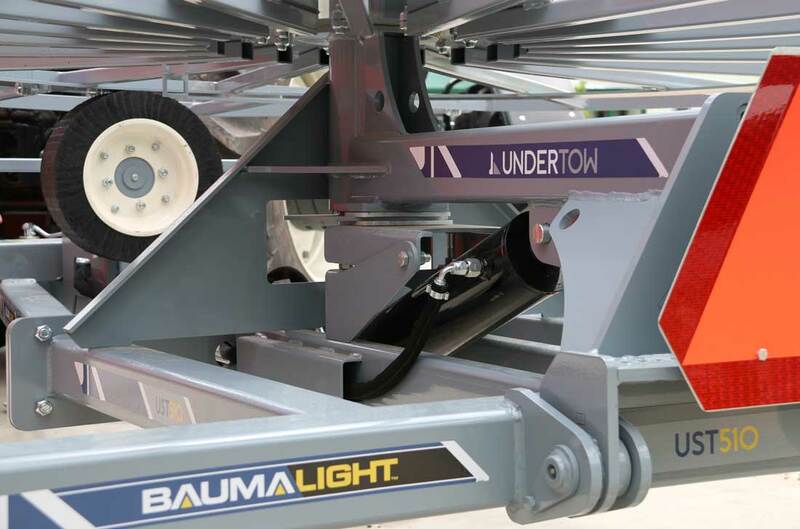 When soil conditions are optimal, the Undertow is ready for action. To get started, put the levers for the wheels to lower the plow into float mode. Insert the tile into the boot while the receiver picks up the laser. With the light flashing green, put it in automatic mode. As long as the green light stays on, the plow is following the laser beam. An additional tip during the tiling process: use mains to reduce the number of tile outlets. 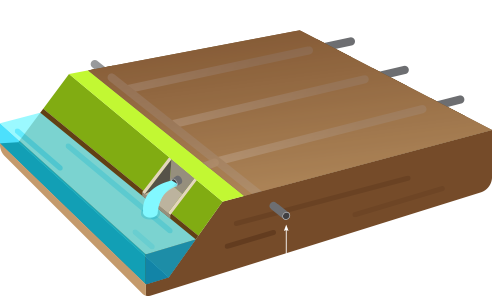 A well-installed tile drainage system should last for generations to come. After tile installation, the soil above the tile drain will be loose. It is important to allow rain to settle the loose soil before working in the field, being careful not to use heavy equipment that could pack down the soil. In general, it is imperative to avoid soil compaction. Because it is hard for water to flow through compacted soil to the tile drains, it is critical to avoid working wet land.